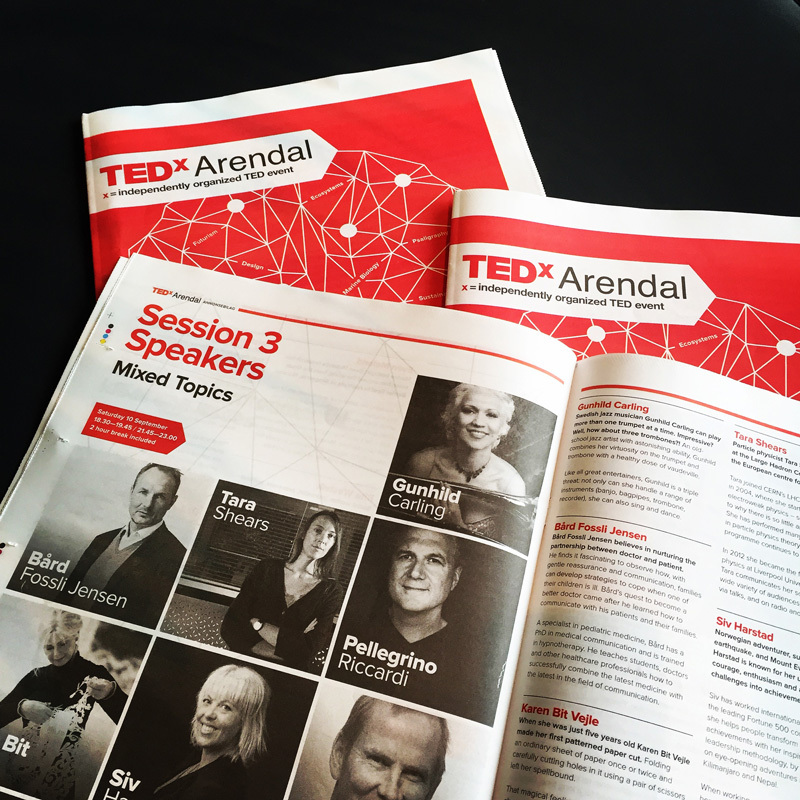 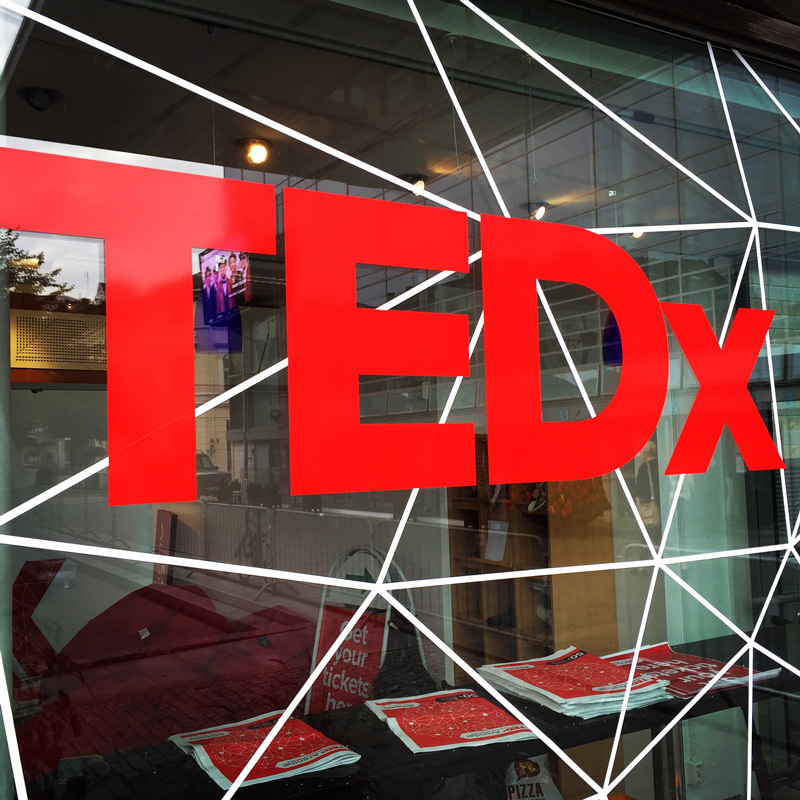 In its fourth year here in southern Norway TEDxArendal is bigger and even better with over 50 speakers, workshops and events across two days and three sessions. 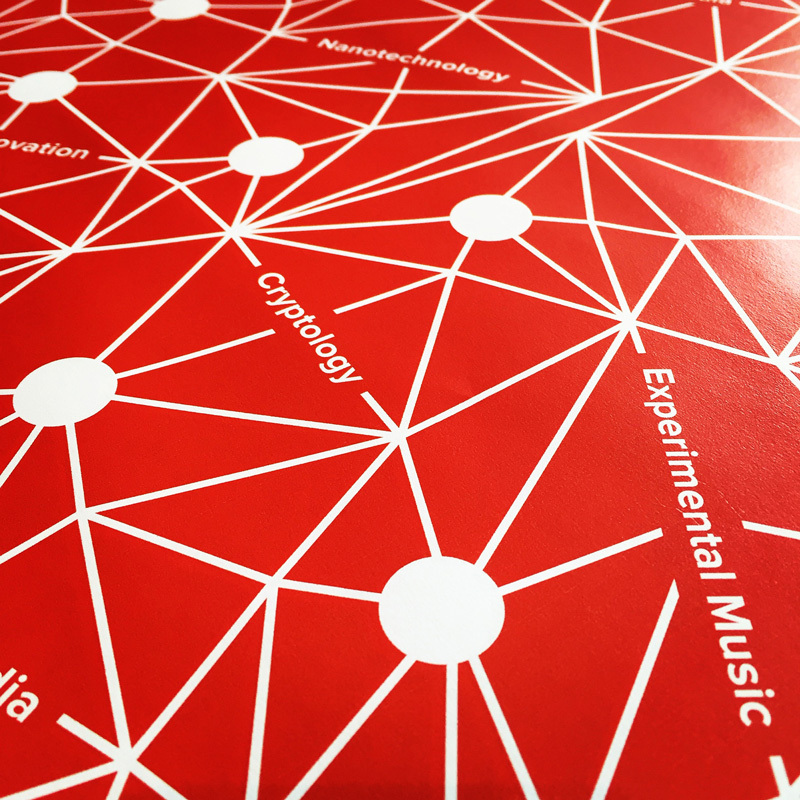 There are also two Buckminster Fuller-esque dome tents for the more cosmic among us. 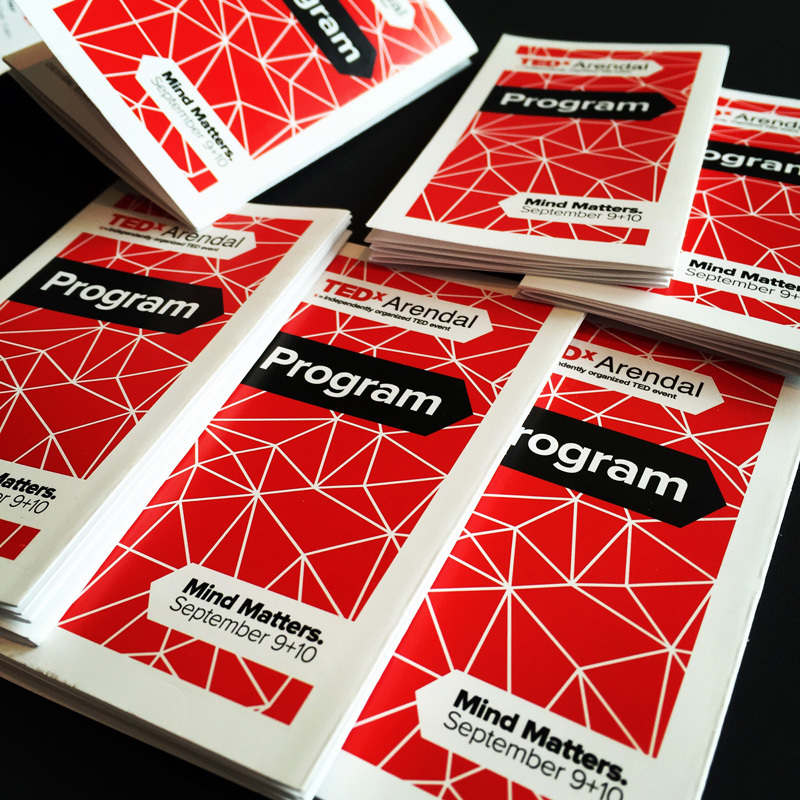 Designers, technologists, musicians, researchers, artists, scientists and other luminaries descend on Arendal Kulturhuset to inform, inspire and ignite the imagination. 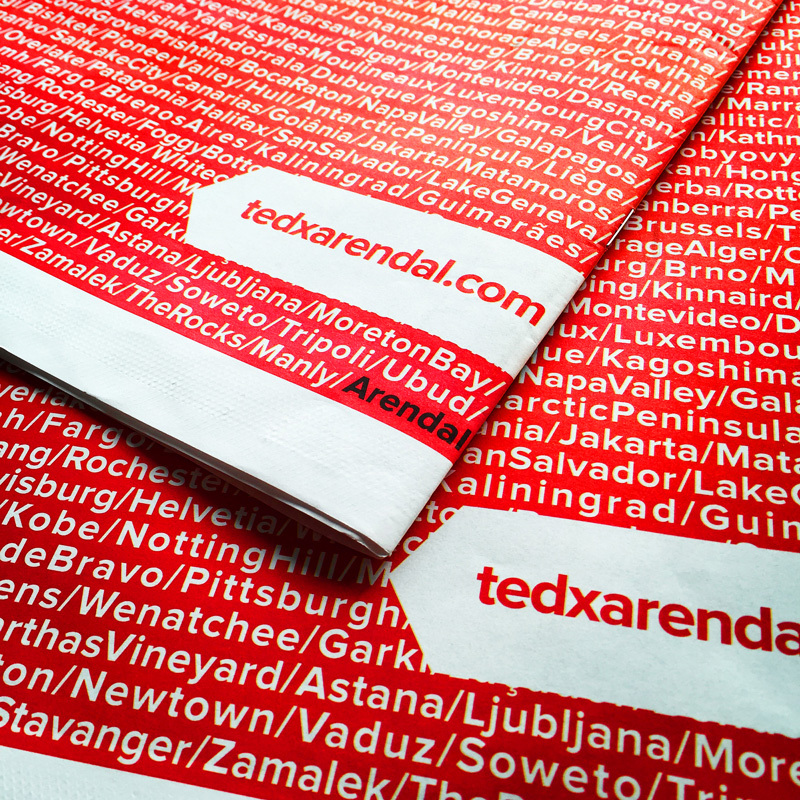 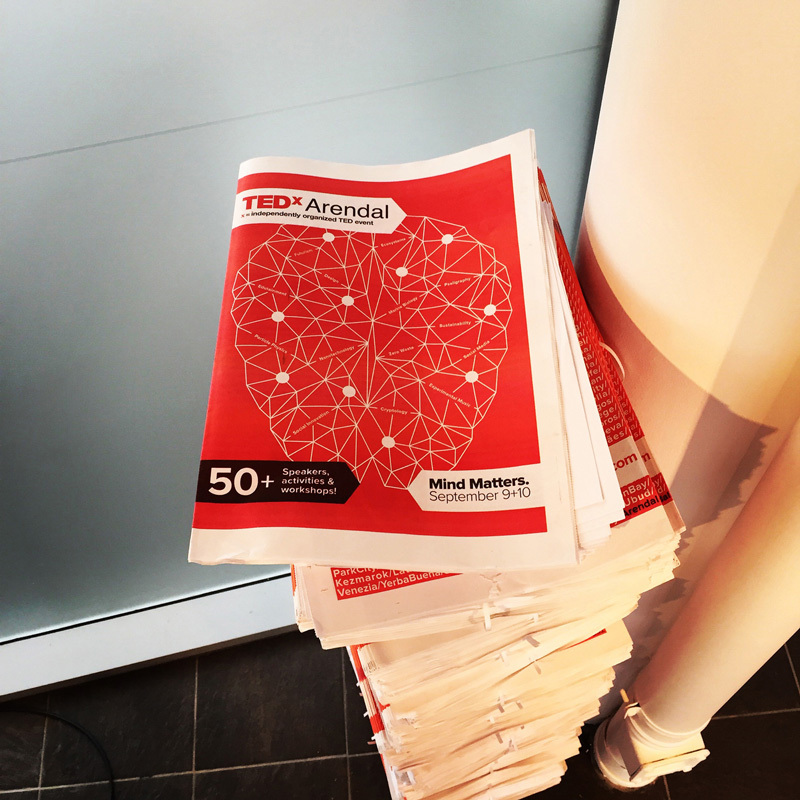 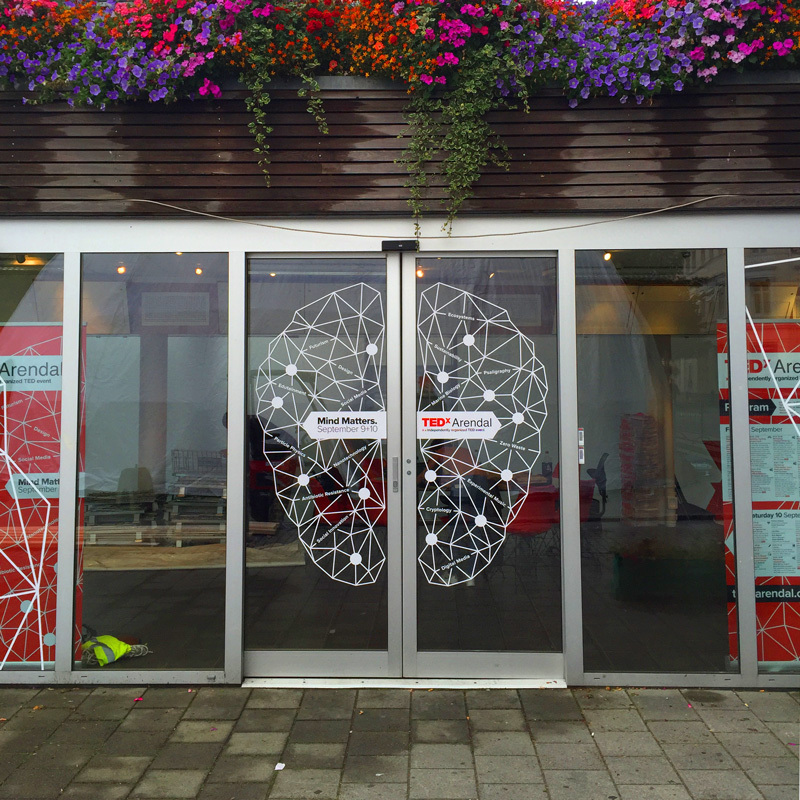 As design partners, Elkemo has worked closely with organisers Céline Thommesen, Kåre Andersen, Arendal Kommune and the awesome team of volunteers to make the most of posters, brochures, advertisements, signage, imagery, t-shirts, bags, lanyards – anything to give TEDxArendal the wow! 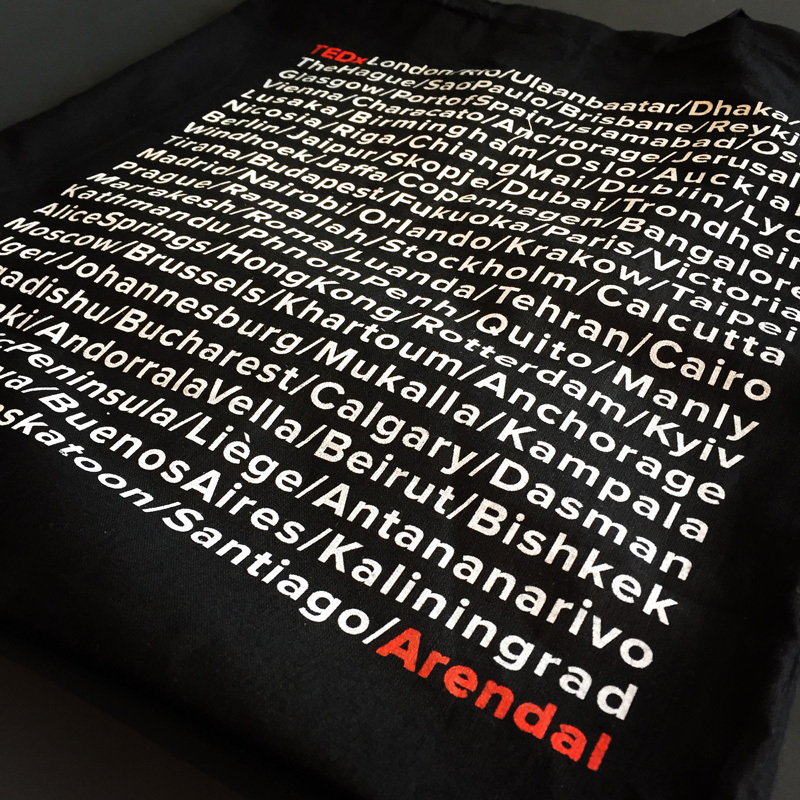 it deserves.